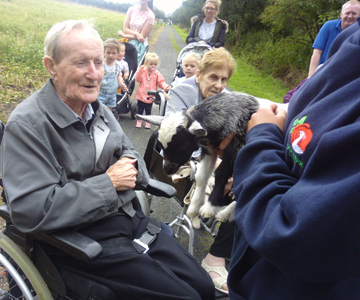 Our activity therapist Francine organised a trip and took 8 residents out on a day trip to a petting farm in Ballymoney. 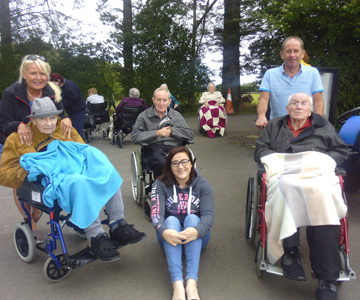 The residents were taken down by a mini bus and once we arrived we got stuck straight in. 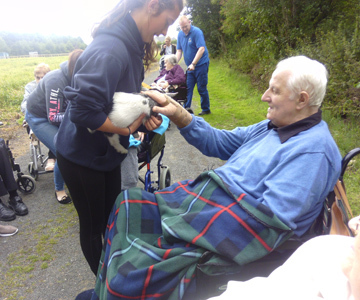 All of our residents got to feed all the baby goats and were able to pet the Shetland pony also. Our next stop was the maternity ward where we got to see new-born piglets and a baby fawn. 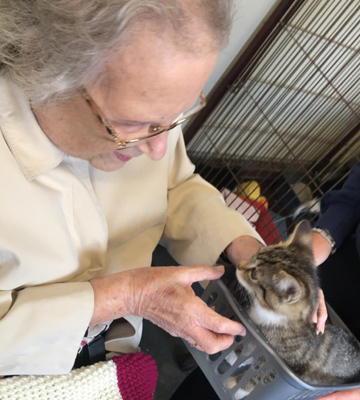 After this we met a lot of happy dogs and then entered the petting hut where all residents were able to pet kittens, gerbils, budgies, rabbits and get to feel the slithery skin of the snakes and lizards – not one for me I can assure you ! 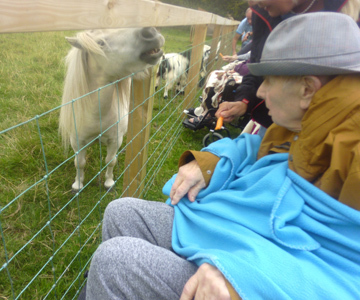 There was also a very special animal we got to meet who we all decided we would call ‘The Glenkeen Queen‘ which was a unicorn! 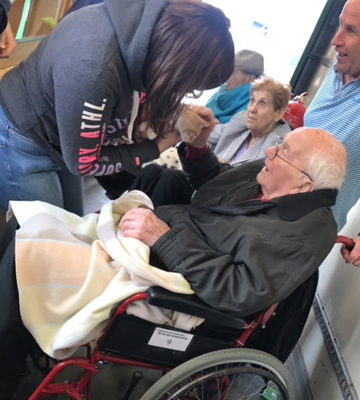 We had our lunch in a reserved barn full of picnic tables and artificial grass and all the residents and their family members thoroughly enjoyed themselves and thankfully the weather stayed dry for us all. 5 star rating for a 4 paw day!